Welcome to the 100th Say G'Day Saturday Linky Party ~ It's Party Time! I am so thrilled you have been able to join me for the 100th link up! I can't believe that we have reached this milestone together! I'm also very grateful for the support and friendship of my dear bloggy friend +Joanne T Ferguson from What's on the List who has done so much work to make this party bigger and better each week. Thank you Joanne! And most importantly. thank YOU for sharing your projects, recipes, tutorials, tips, tricks and photos each week. You really are so incredibly talented! Have you shared a new project, recipe, decorating idea or DIY tip on your blog this week? Maybe you have shared some blogging tips or some of your Instagram pictures? Then please join in with this week's #SayGdayParty. Follow Natasha in Oz @ natashainoz.com's board Say G'day Saturday Linky Party on Pinterest. A Reminder about the #SayGday Project! 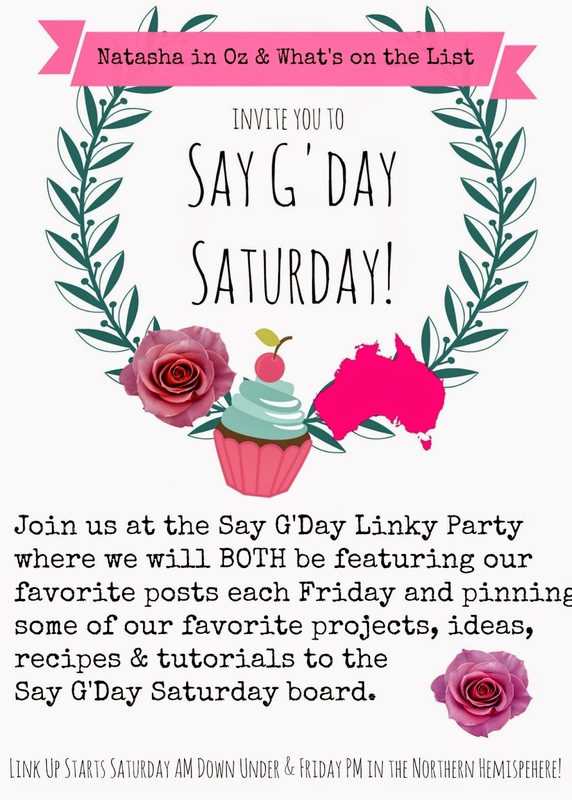 Together, Joanne and I would like to make the Say G'day Linky Party THE place to share your amazing crafts, decor, recipes, and DIY projects where you know your talent is appreciated because we will BOTH be sharing many of YOUR posts to a variety of Social Media Channels. But we also want for YOU to be sharing each others talent! We would dearly love it if we could all try saying Saying G'day to as many bloggers as we can, follow that blogger somewhere and sharing their posts on Pinterest, Google+, Facebook, StumbleUpon or Twitter. help support our fellow bloggers! We'd also love it if you could tweet about the party-just click the 'Tweet Button' below! 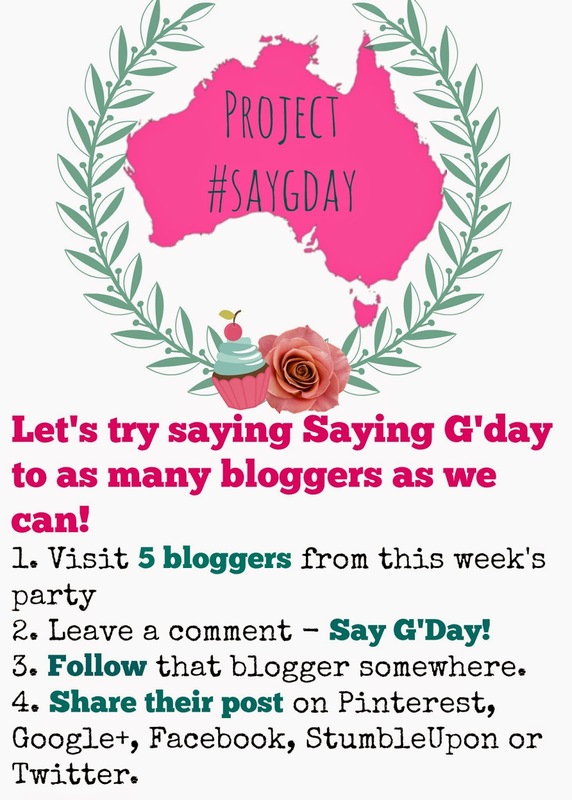 Please note: by linking up to the Say G'day Party, you are giving permission to use any part of your post, including pictures, in feature posts on Natasha in Oz and What's on the List. You may also be featured on Facebook, Twitter and Pinterest with all credit being given to the original source. If you missed out on seeing my favorites from last week's party please visit my Friday Favorites post where I have also introduced the Pinning Blogger of the week. Just click the button below to be taken straight to my latest Friday Favorites post! Finally, don't forget about the #saygdaysaturday project on Instagram! If you share any pictures on Instagram this Saturday I'd love if you could add #saygdaysaturday to your picture! Thanks so much for visiting today and thank you for helping me celebrate 100 fun parties!